Rossington make the short journey to Armthorpe trailing their rivals by two points and three places in Division One. But Holmes, who has 14 goals to his name this season, hopes to see Main leapfrog Welfare by winning the first Doncaster derby of the campaign. 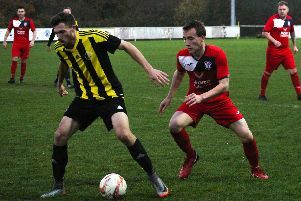 “This game is one as a player that you look for when the fixtures come out,” Holmes told Rossington’s official website. “I'm as confident as I can be currently and I wouldn't swap any of our squad for theirs. “Most lads in both squads will know each other and it’s all about bragging rights. “I've said for years we are the biggest club in Doncaster behind the Rovers with our setup and junior sides. “But this only matters if we are above them in the league and winning on Saturday will make this happen. “It will be a very tough game, as derby games always are, and maybe scrappy in areas but either way I know our lads can do both sides of the coin. 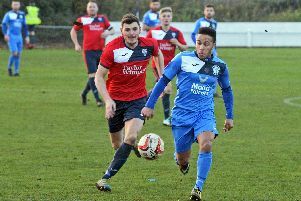 Ryan Hindley’s Rossington side, who sit 14th in the table, won last time out at Swallownest – their first league win for more than a month. Armthorpe, in 11th, come into this weekend’s clash on the back of four straight away defeats. Admission at the M Pilbeam Construction Stadium is £5 for adults and £3 for concessions.